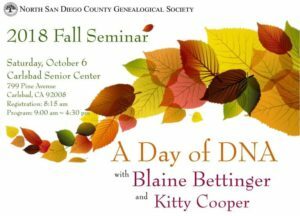 Blaine Bettinger, one of the best presenters and educators on genetic genealogy, is coming to Carlsbad, San Diego, for a daylong seminar next week on Saturday, October 6. This is a wonderful opportunity to gather knowledge from one of the stars of the field. At the moment, there are still a few seats open. I will also be doing a workshop on working with your DNA matches that morning in Carlsbad. If you are interested in having your results be an example in my workshop, please contact me with some details. The idea of a workshop is I talk briefly, then you try it yourselves. Then I talk some more. Then you try some more and we repeat again. So please bring your laptop or tablet or even make do with your smartphone and we will have fun! We will mainly work with Ancestry matches plus a little bit with GEDmatch. If you have not yet uploaded your DNA data to GEDmatch.com please do so. Click here for how. 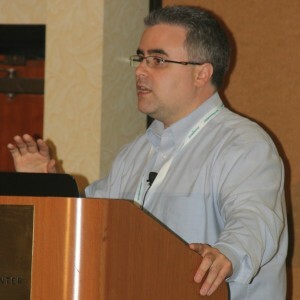 Blaine’s workshop about visual phasing will be at the same time as mine. Everyone loves this workshop at Jamboree so it is great to have it locally. Blaine is not only the author of several books on genetic genealogy and a blog, but he also runs a FaceBook group of about 46K members called “Genetic Genealogy Tips & Techniques.” His latest endeavor is a web site for self paced learning called DNA Central. If you cannot make it up to Carlsbad, then come hear me following Saturday Oct 13 when I will be talking to the San Diego Genealogy Society in the Lake Murray area. Or if you are in New Mexico, I will be talking in Albuquerque New Mexico the following day, Sunday Oct 14! I have already put this request on DNA_NEWBIES and facebook so the form is now, hopefully, well tested and I will list some of my preliminary results at the end of this post. I have to give credit to Blaine Bettinger for this data collection idea; he is collecting autosomal statistics this way, see my post about that and the results so far. Now why did I decide to collect these statistics aside from my own curiosity? To help an adoptee of course. The question I often see is are we really 2nd or 3rd or 4th cousins? The answer is usually “maybe.” A 2nd-4th cousin designation by your testing company is purposefully vague. Best to look at the amount of shared cMs in segments greater than 7cM, number of segments, and the sizes of those segments; plus, of course, who else this new DNA relative matches! 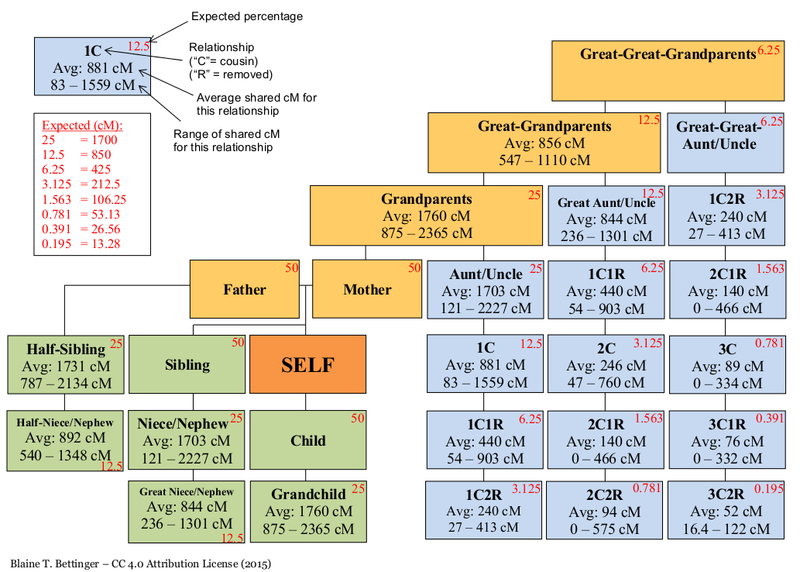 DNA inheritance gets more and more random the further away the relationship is. The amount of DNA you share with someone more distant than a 3rd cousin is impossible to predict and even those 2nd and 3rd cousins seem highly variable. So the statistical study conducted by genetic genealogist Blaine Bettinger is deeply appreciated by all of us hunting down the relationships with our DNA connections. Blaine has created this beautiful chart. His blog has several posts explaining the study which is the source of these new statistics. See http://www.thegeneticgenealogist.com/2015/05/29/the-shared-cm-project/ for all his posts on this study. I had previously discussed his project when recruiting people to add their statistics; apparently he is still taking in statistics so click here to add yours. Having test results from my two second cousins has been extremely useful for narrowing down which family line new matches are related on. So I would really like to get more cousins to test. When discussing each of these, he stressed that you do not want to overwhelm your contact. That means no three page emails filled with technical terms! Make your request specific, short, and to the point. Make it visual and informative.